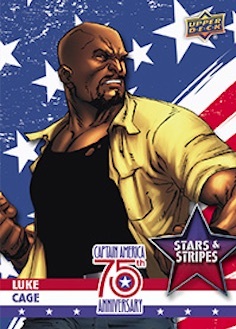 Honoring the alter ego of Steve Rogers as he celebrates 75 years of battling evil, 2016 Upper Deck Captain America 75th Anniversary covers the popular superhero with an exclusive release. Only found through the Upper Deck ePack format, the comic-based set features both digital and physical cards to collect. 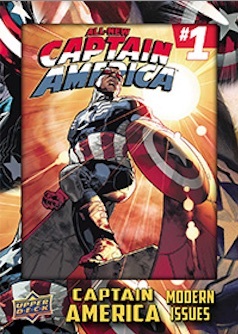 Debuting in Marvel's Captain America Comics #1 (1941), Captain America has enjoyed a great run as one of the most popular comic characters. Now, collectors can get in on the anniversary action with an ePack set geared to the milestone. 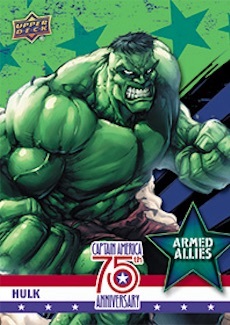 2016 Upper Deck Captain America 75th Anniversary features a 60-card base set with a 15-card high series. Parallels come in four different tiers, including Gold LTFX (1/1). 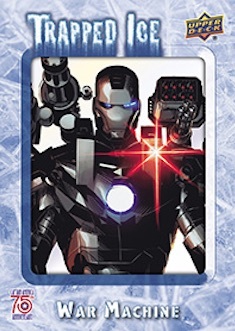 In addition to a trio of inserts that document Captain America along with his enemies and allies, the limited set also contains Trapped Ice character cards that average one per box. 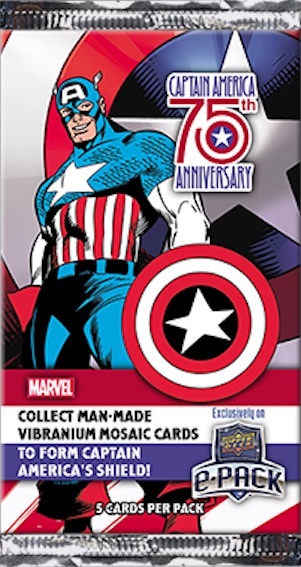 The Man Made Vibranium Mosaic cards are rare aluminum inserts that pay homage to the fictional metal found in the Marvel Universe. 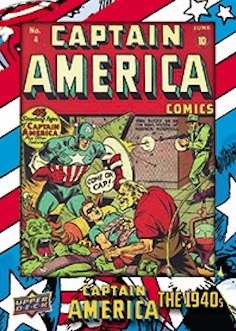 The direct relation for Captain American is based on his shield, which is made from the nearly-indestructible metal. 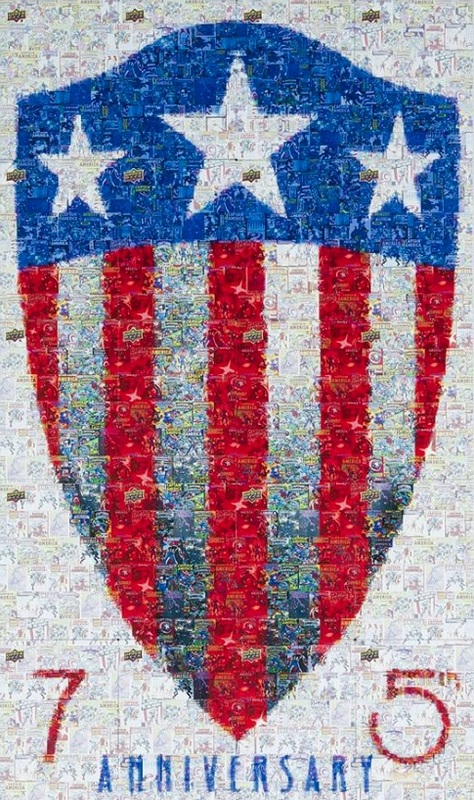 The metal mosaic cards can be used to build an image of Captain America's iconic shield or a nameplate version that chronicles his appearance over the years while spelling out his name. 2016 Upper Deck Captain America 75th ePacks sell for $5.99 each on the UD ePack website. Physical cards can be redeemed through Check Out My Cards (COMC). Product Configuration: 5 cards per pack, 20 packs per box. Contents and designs are subject to change.